Scott takes on the rock doc, Wired For Sound. The guitar undoubtedly is one of the most mythological symbols from its sound all the way to its traditional look. There is something that is so intoxicating about the look, feel, and sound of these mysterious stringed devices from the lead frequency all the way to the bass frequencies. The guitar from its early incarnations to today is the symbol of rock music in all of its forms and literally is responsible for countless genres of music that is explored and enjoyed today. Personally, I have always been amazed at the range of this instrument. Sitting down and playing a guitar has its learning curve of course. But, once you get the fundamentals, a world is opened up to you that has limitless potential for creativity. There is no instrument which has sparked so much innovation from its practitioners over the years. Wired for Sound, deals with these very subjects. While the content is leaned heavily towards Gibson guitars (guess who paid for it? ), we get a lot of incredible interviews with some of the most prolific practitioners of the guitar in the last century. 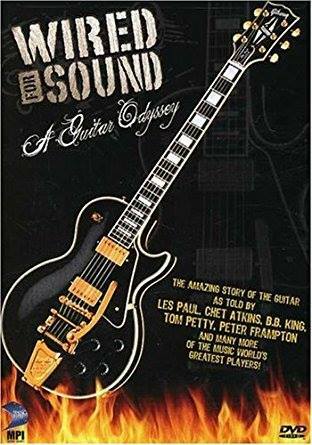 I really appreciated the range of players who were interviewed in Wired for Sound, all the way from Chet Atkins to Glenn Tipton from Judas Priest. This just further illustrated the range of sound that the guitar has taken over in the last century. Wired for Sound, while being a very interesting watch is definitely a product of its time (airing originally in 1997) leaning on some of the popular acts and players of the time such as Billy Corgan of Smashing Pumpkins and Dave Matthews from the band of his namesake. Don’t get me wrong, these musicians have some very interesting things to say, but it definitely dates this documentary that is chock full of musicians who have written timeless music. This coupled with some historical inaccuracies from the point of view of Gibson guitars made Wired for Sound a little cringy at times. 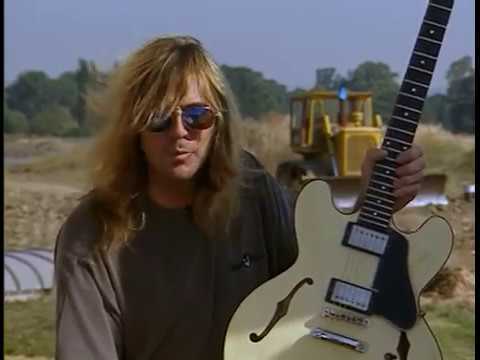 This is my geeeeetar. It makes all the noises. Regardless of my gripes, Wired for Sound is a really great look into the most important symbol of Rock n’ Roll to the present day and can be just listened to also with its pristine soundtrack of these famous musicians showing their chops.